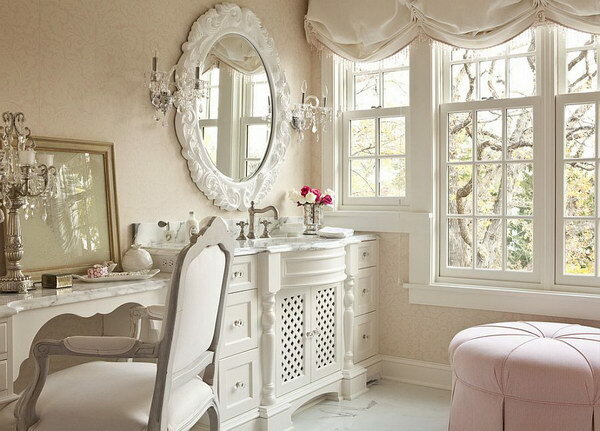 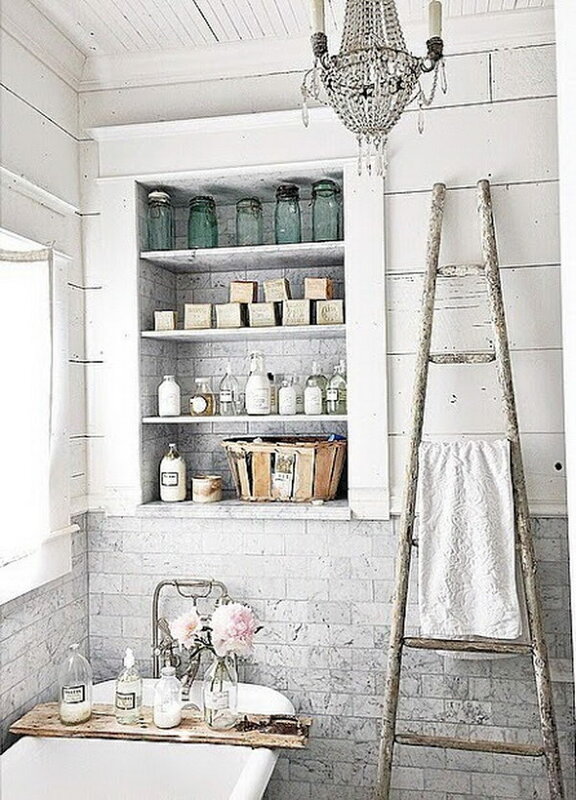 In basic terms, decorating in shabby chic style means channeling a soft, vintage elegance, combined with adorned, detailed and artistic accents. 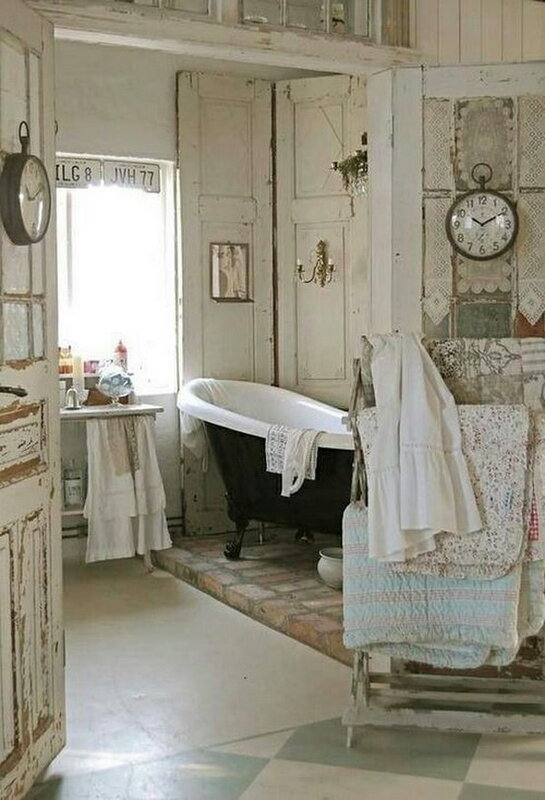 However, this all needs to have a distressed – in the sense of used and lived-in, rather than old and past its prime – and comfortable edge, which gives it the shabby’ aspect. 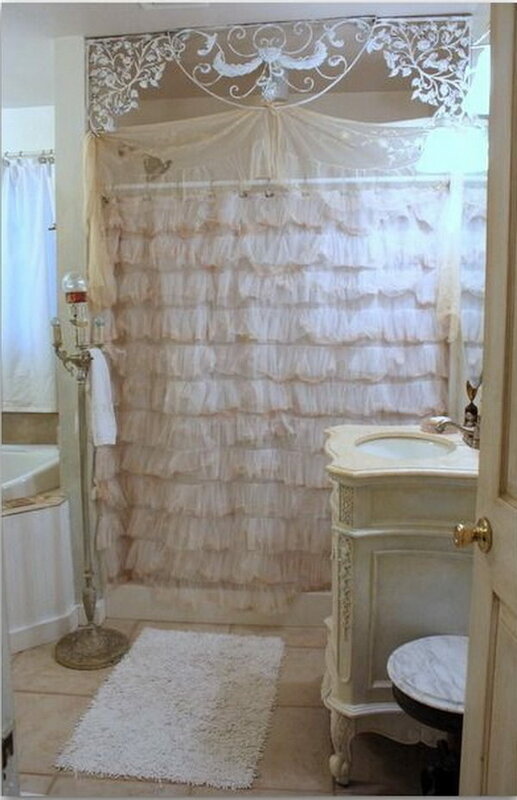 Given this description, it may seem difficult to see how shabby chic could be a good style for bathroom decoration. 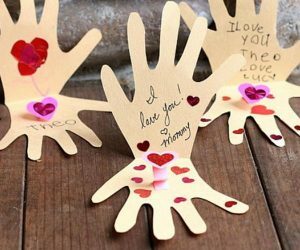 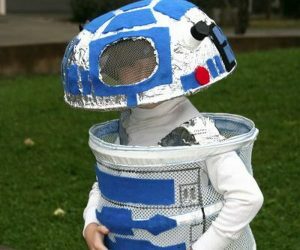 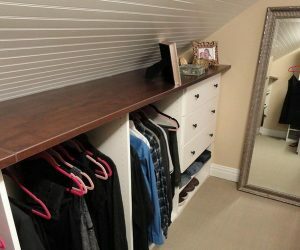 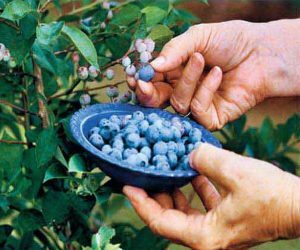 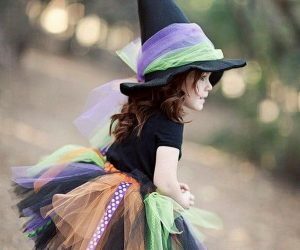 However, you’ll perhaps be quite surprised to see how well the trend can work in this somewhat more functional than recreational part of the house. 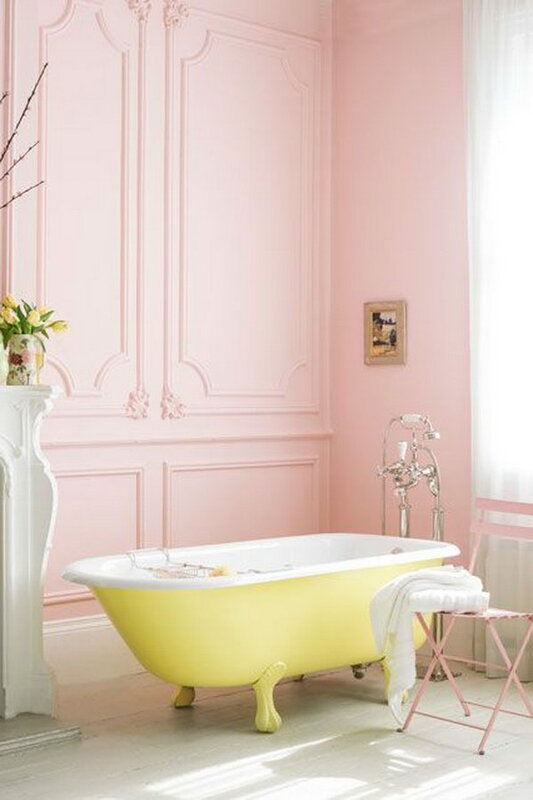 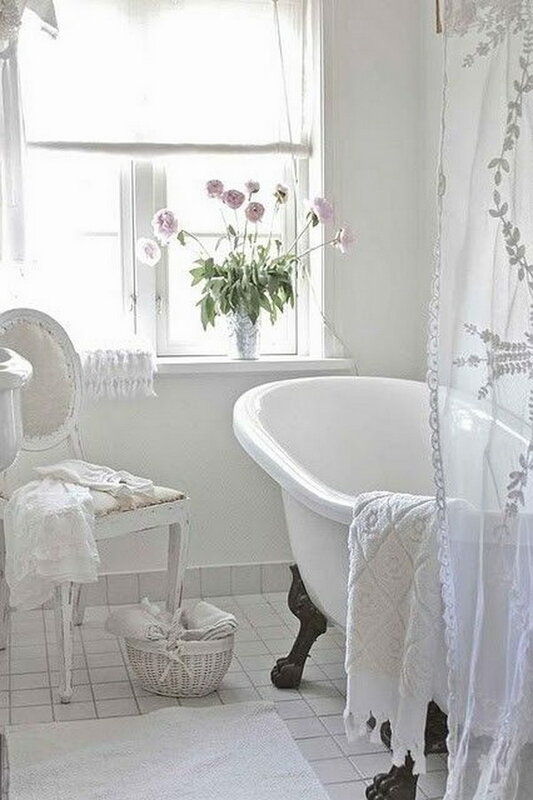 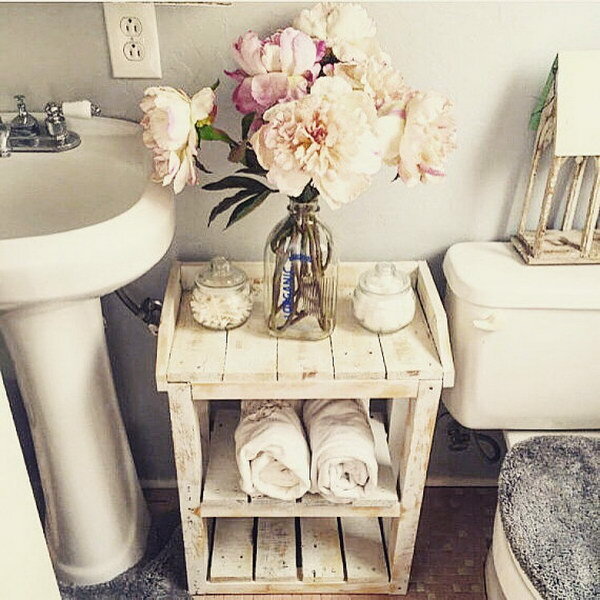 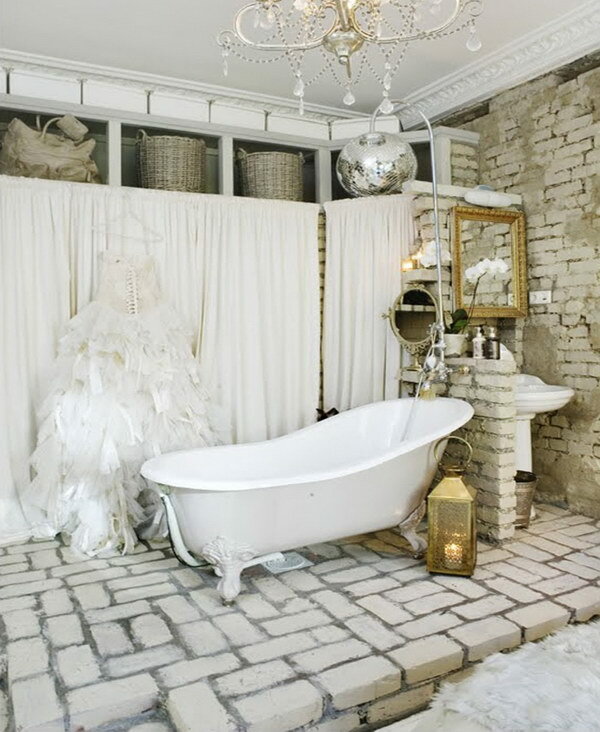 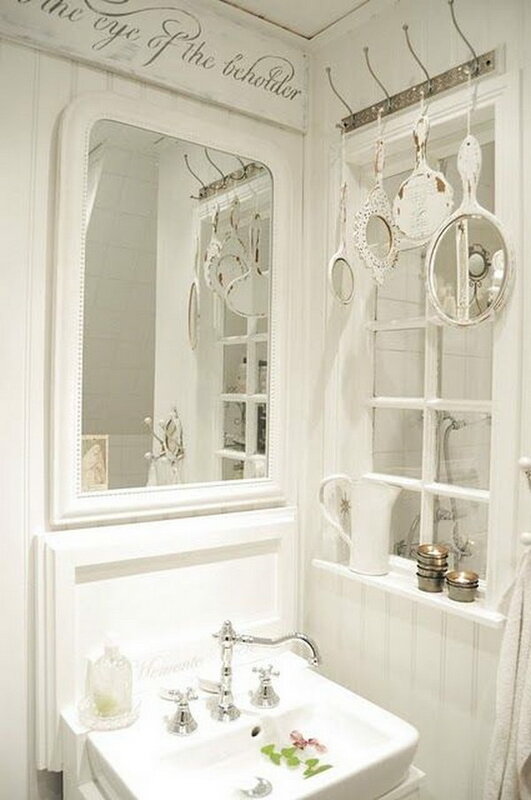 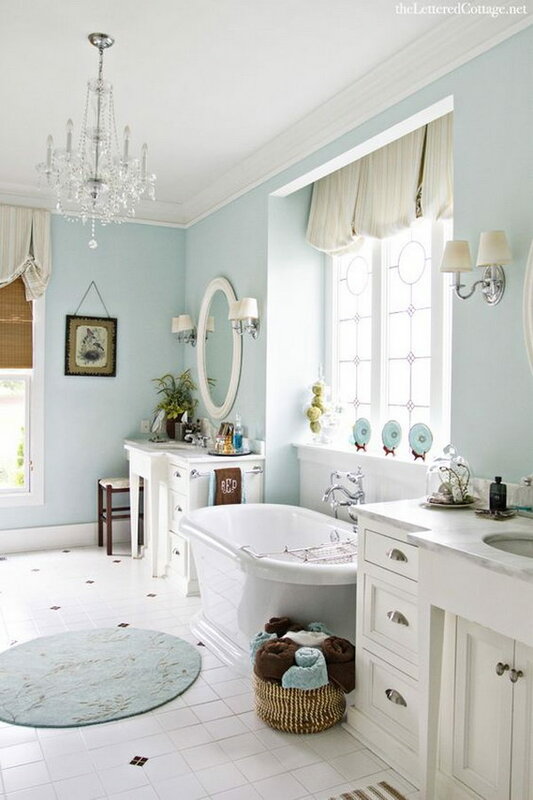 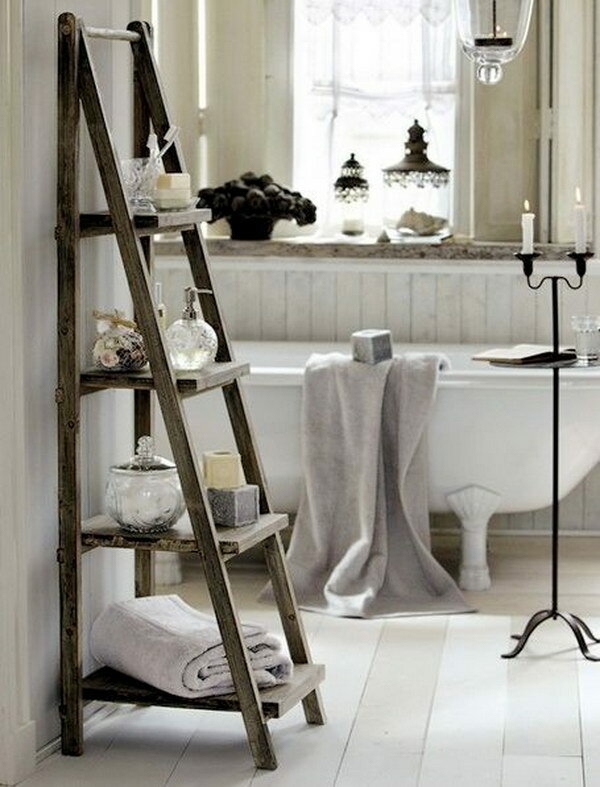 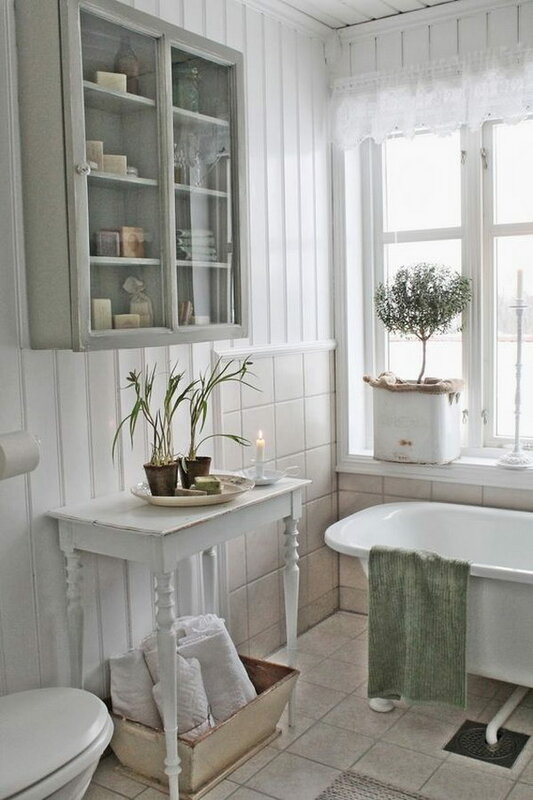 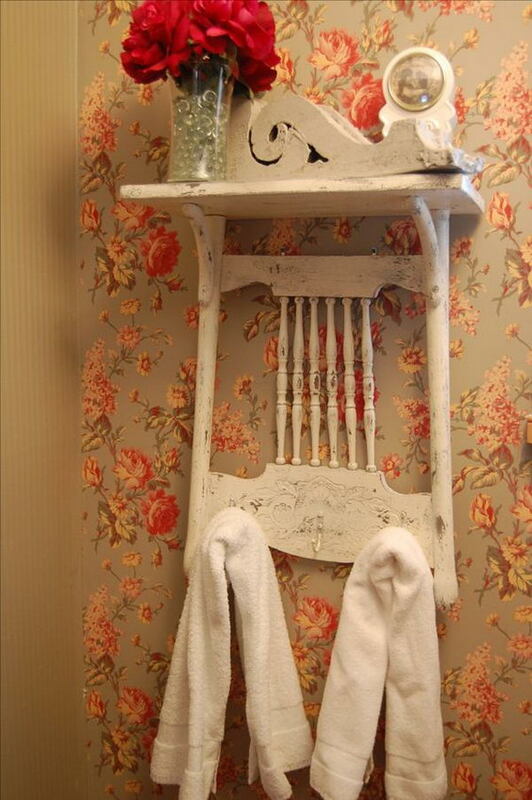 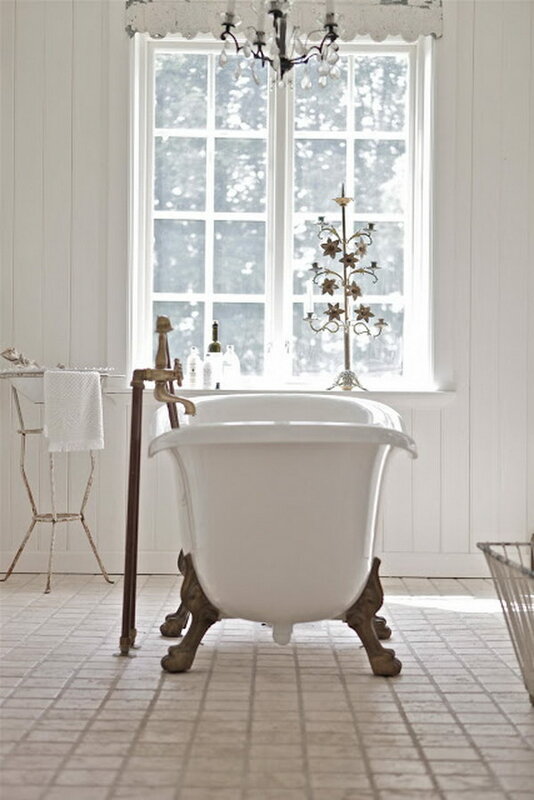 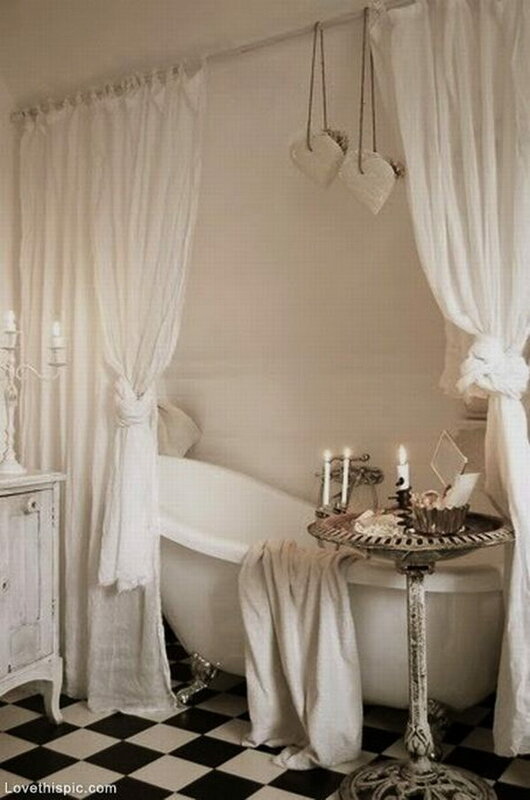 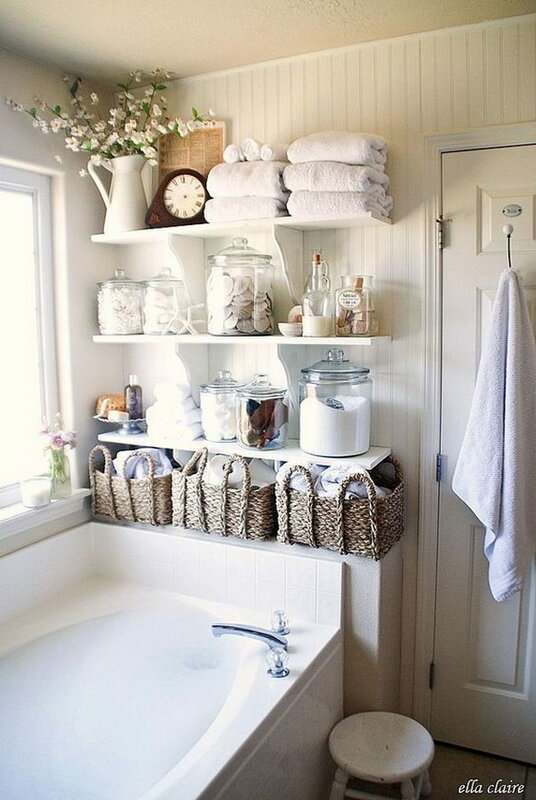 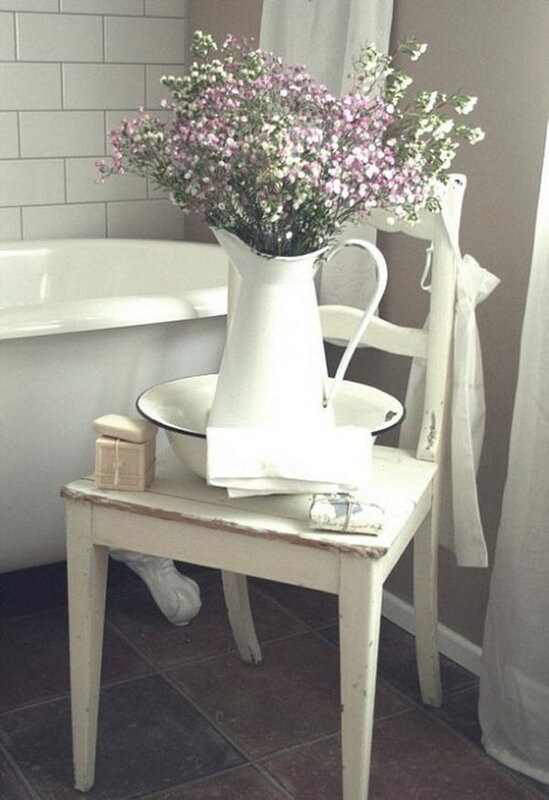 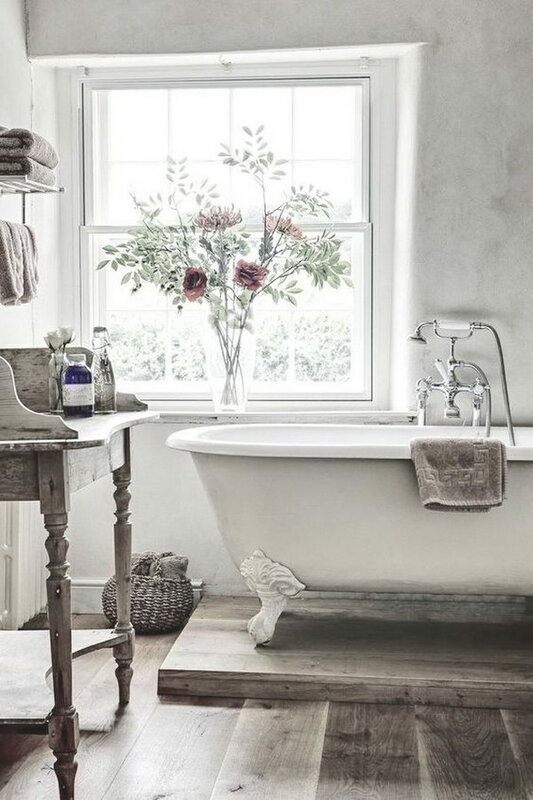 In fact, shabby chic decoration can actually be quite beneficial in the bathroom environment, as it takes away some of the sterile simplicity of the space and makes it look more cozy, attractive and comfortable for truly relaxing experiences like long baths, spa treatments and other such activities. 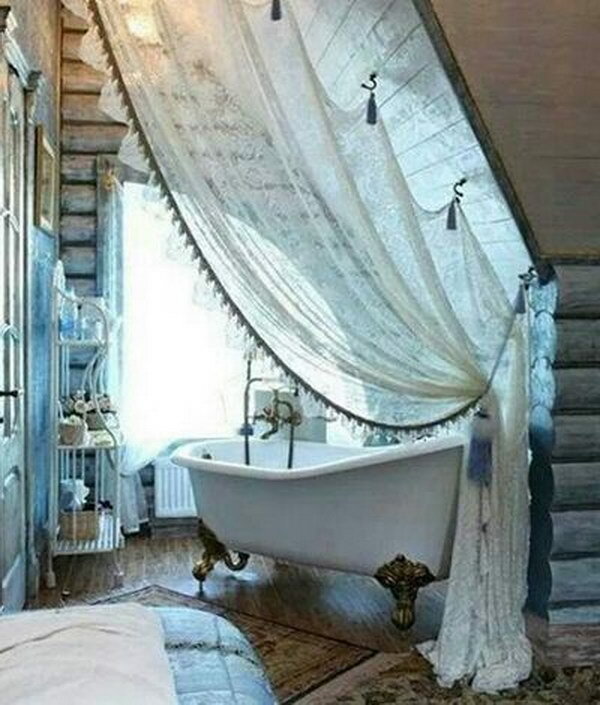 Speaking of spas, we should mention that this is a style that is quite popular at countryside spas, resorts and retreats, so it is what you should go for, if you’re aiming for and taking inspiration from that kind of decorating style to build or remodel your bathroom. 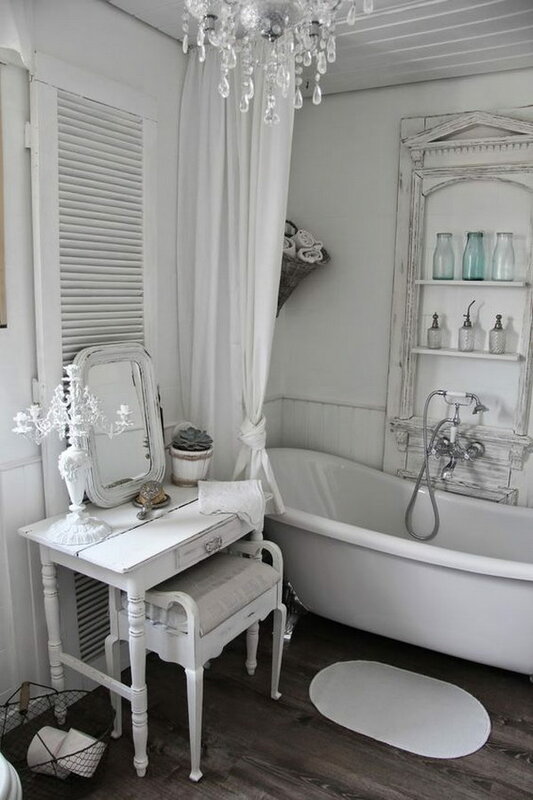 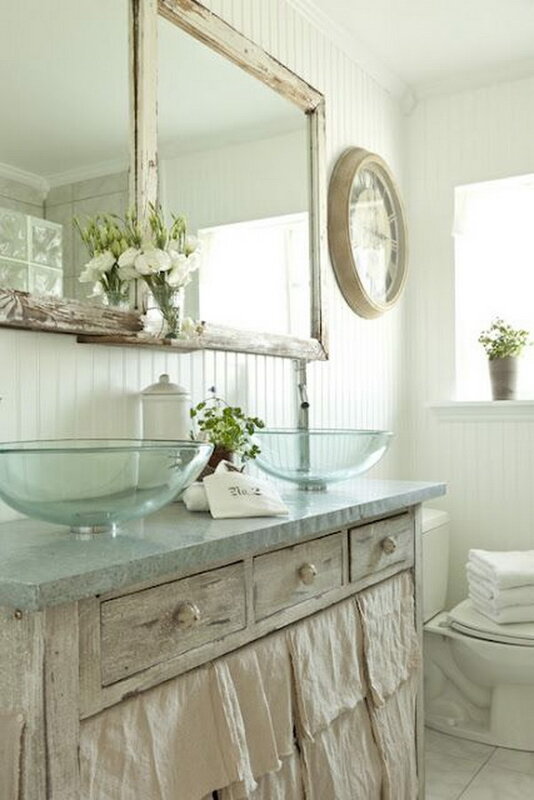 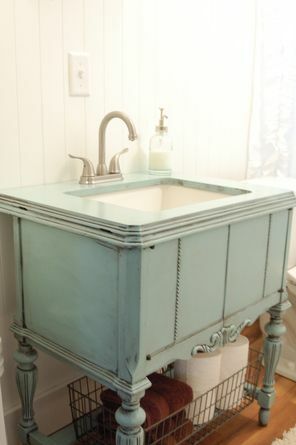 In this post you will find a lot of inspiration and ideas that will be useful to you if you’re planning on turning your bathroom into a shabby chic paradise. 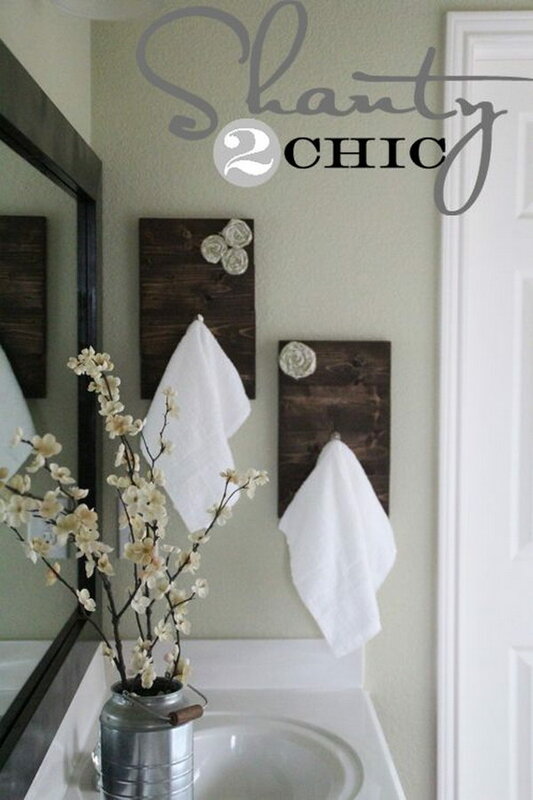 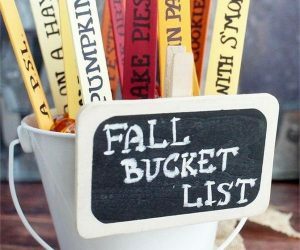 However, before you look at these more specific projects, let’s talk about shabby chic bathroom basics. 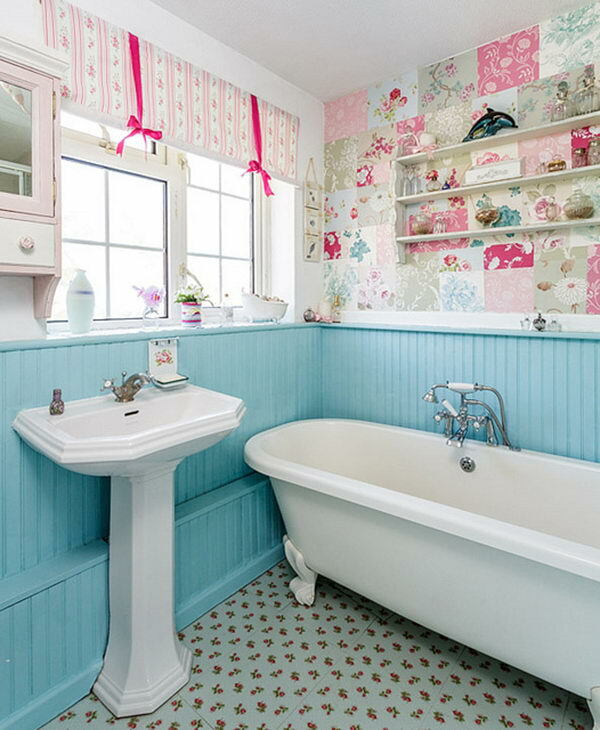 The first thing to consider is the space and colors. 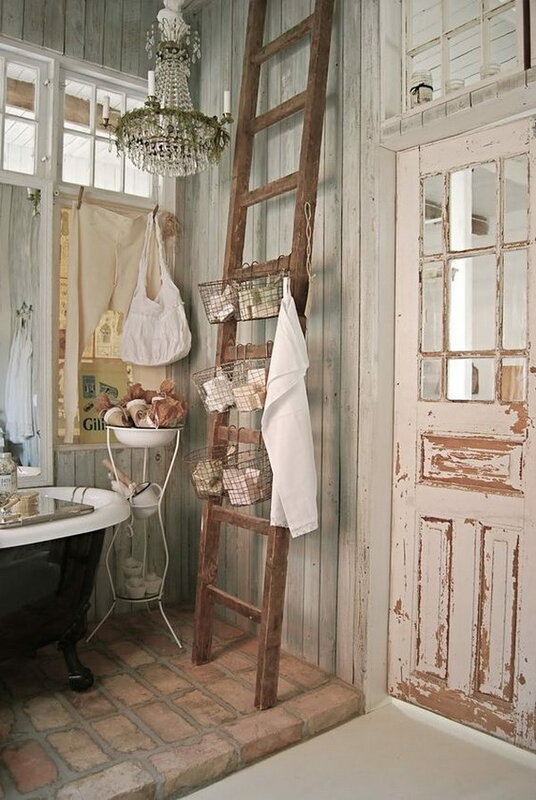 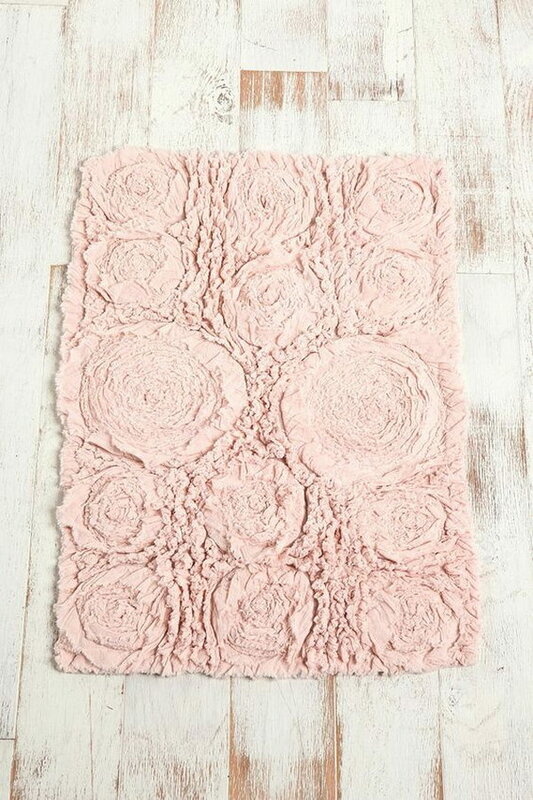 Shabby chic decoration usually means having soft, neutral colored walls, so that’s the palette you’ll be working with – pinks, grays and beige tones. 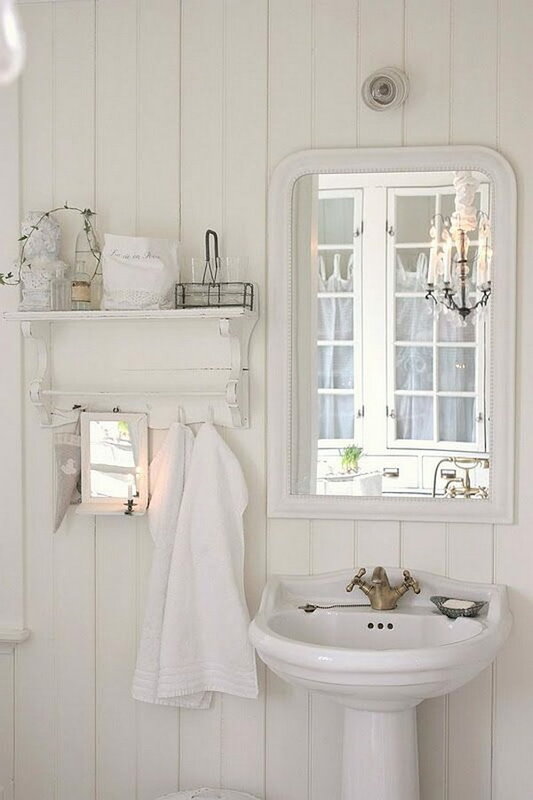 To complement the aesthetic, you can also opt for materials that are or resemble wood or wallpaper, which will pull in the vintage-cottage style even more. 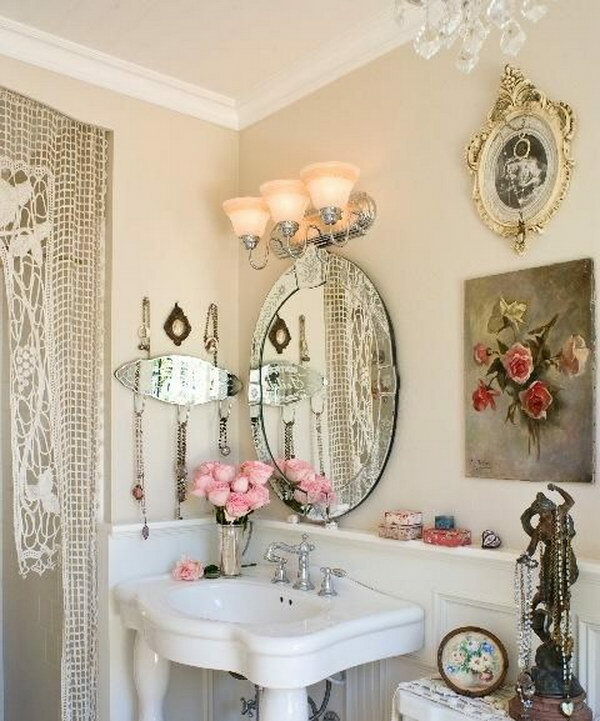 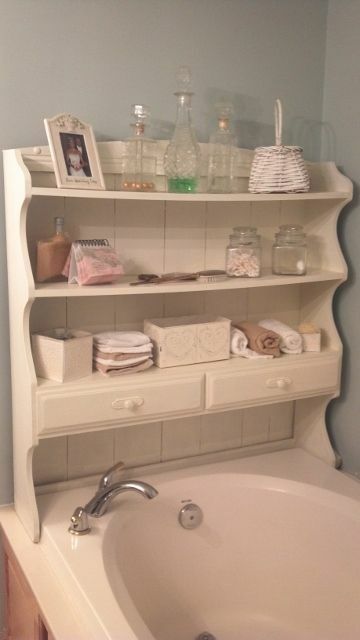 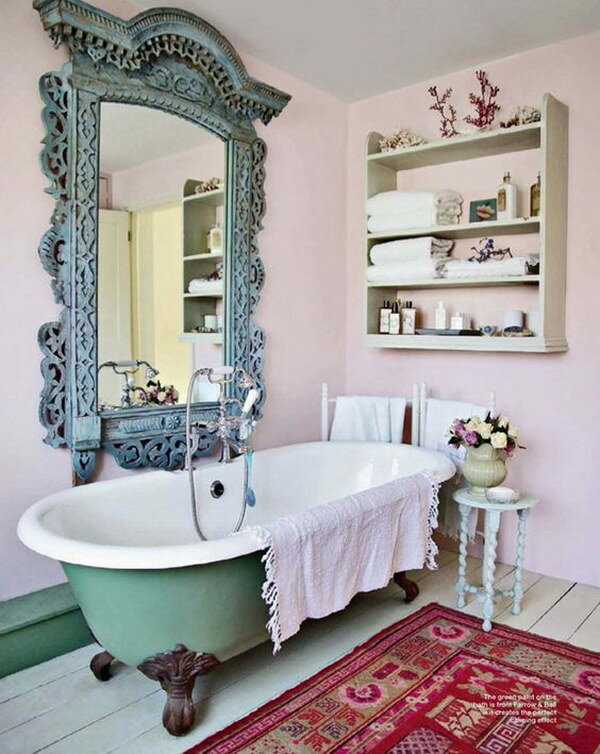 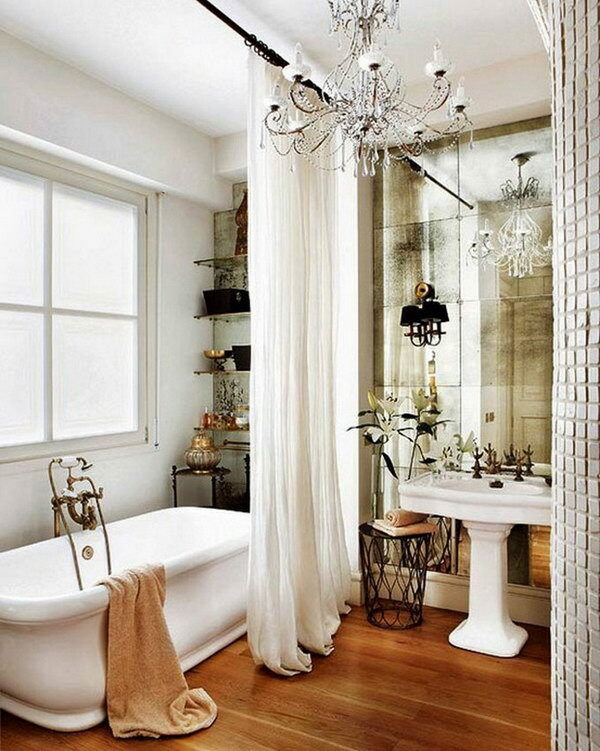 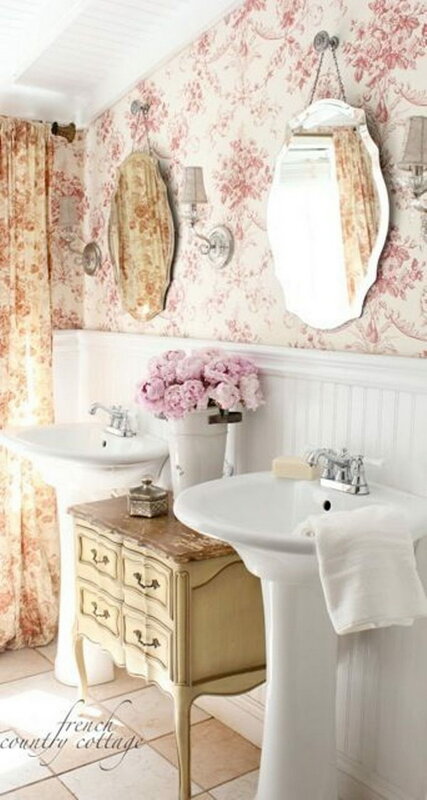 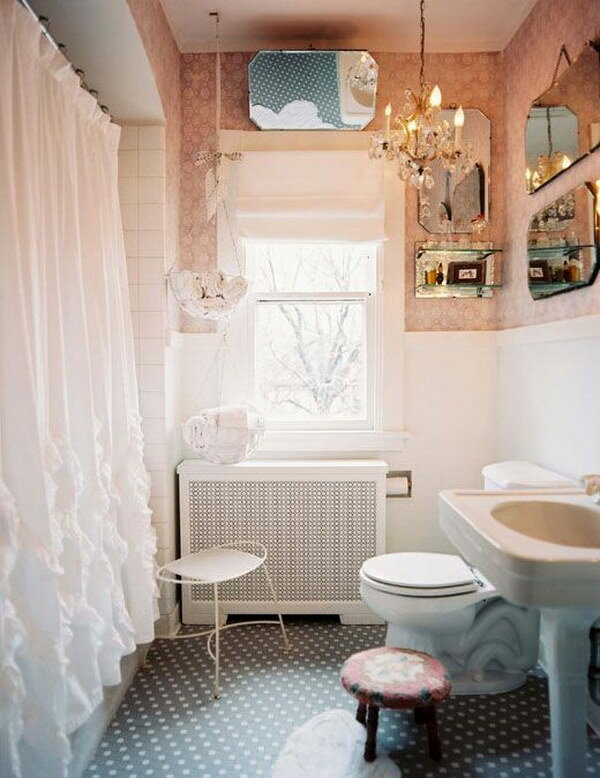 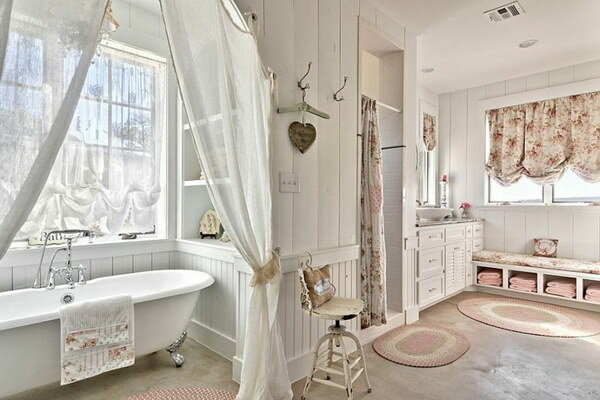 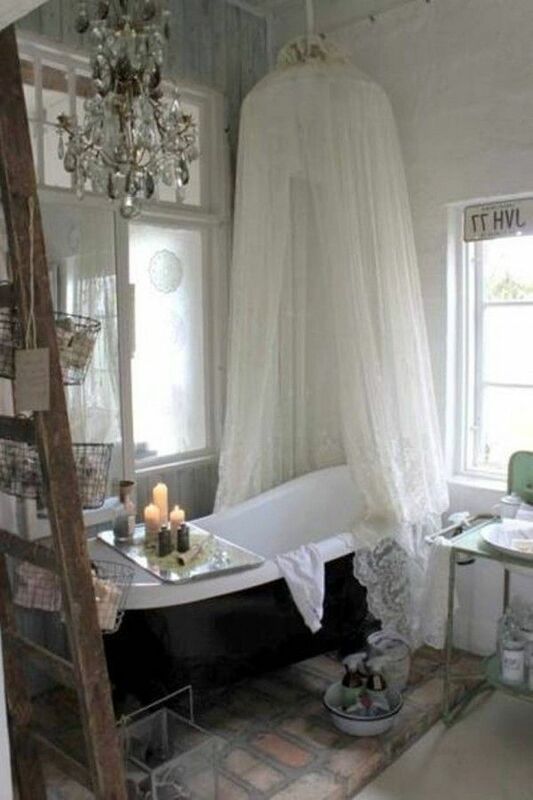 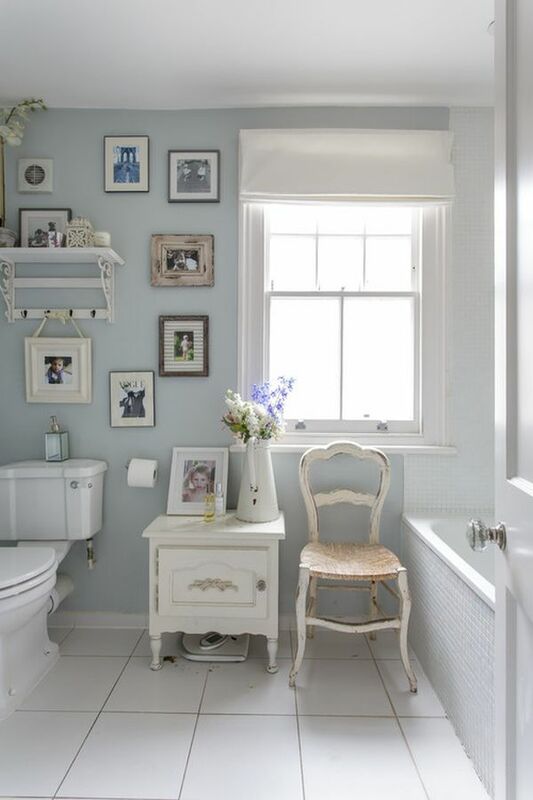 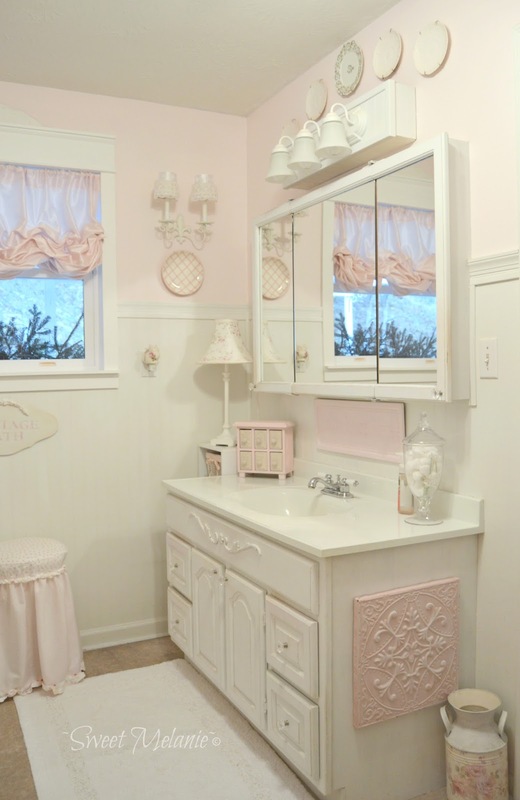 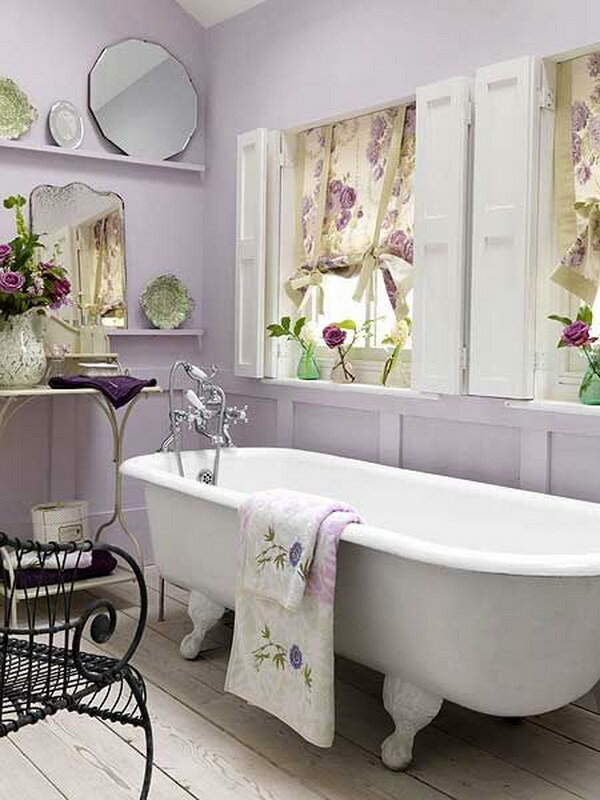 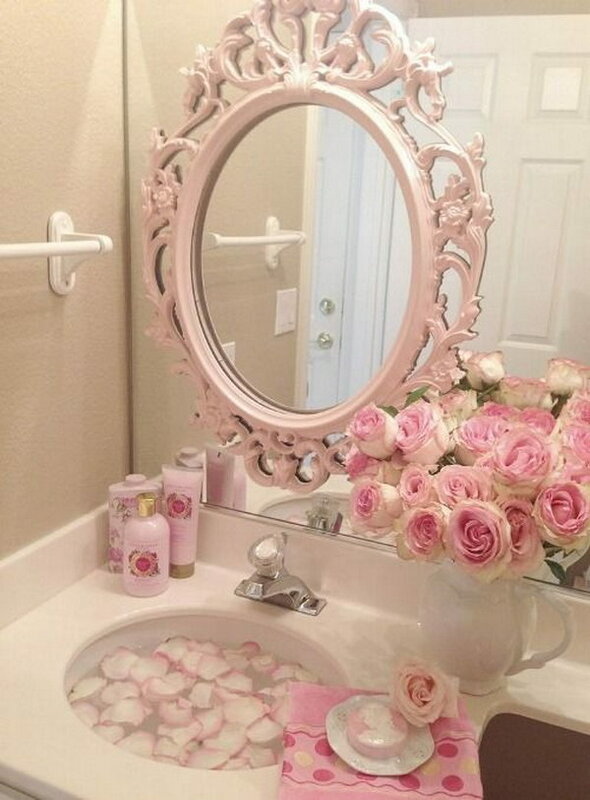 See the beautiful bathroom makeover via cutepinkstuffcom. 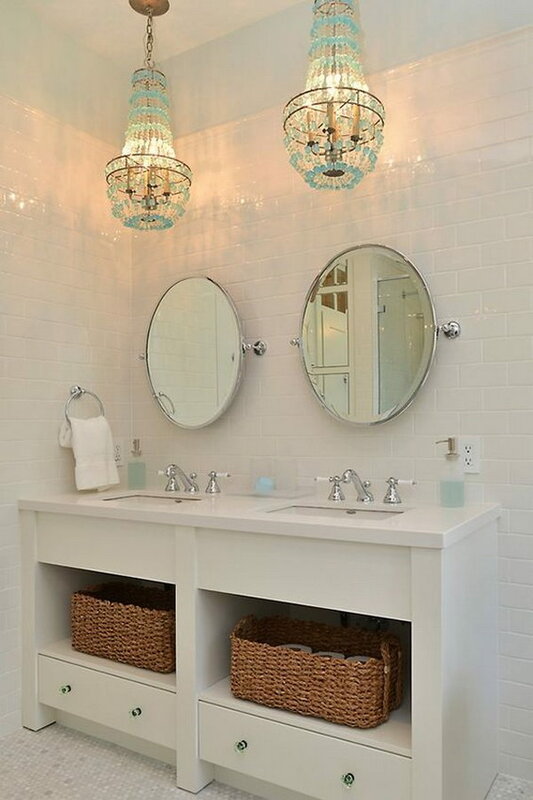 Other very important elements are lighting and mirrors. 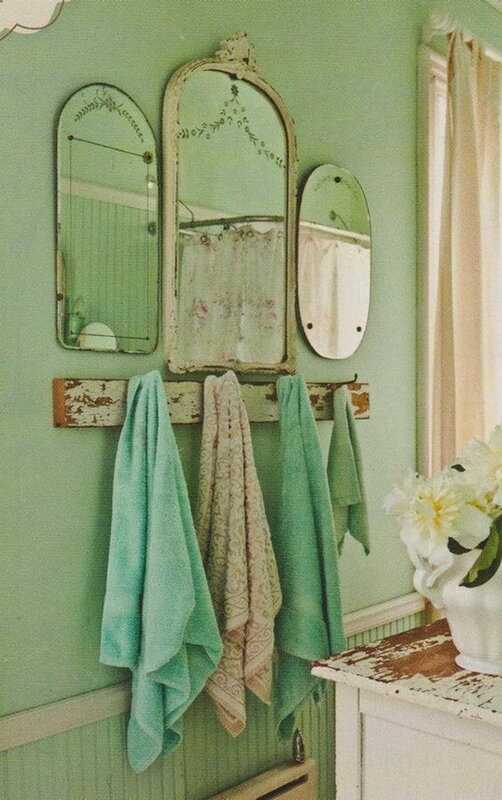 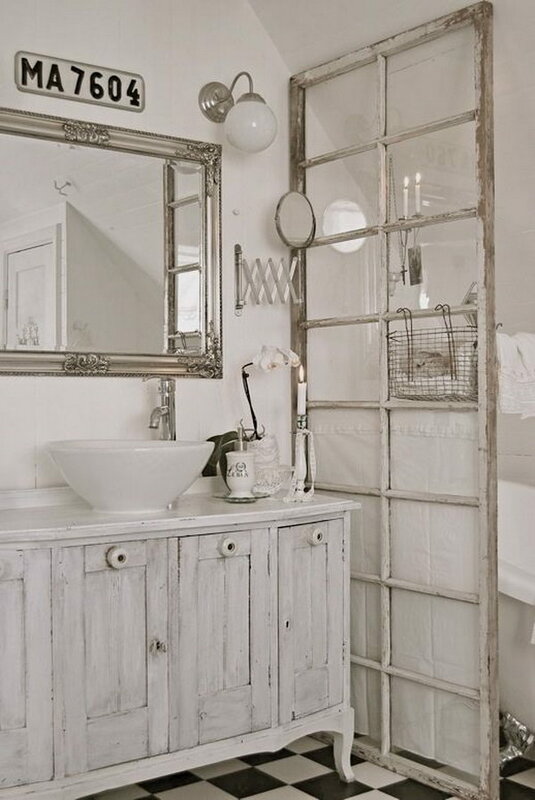 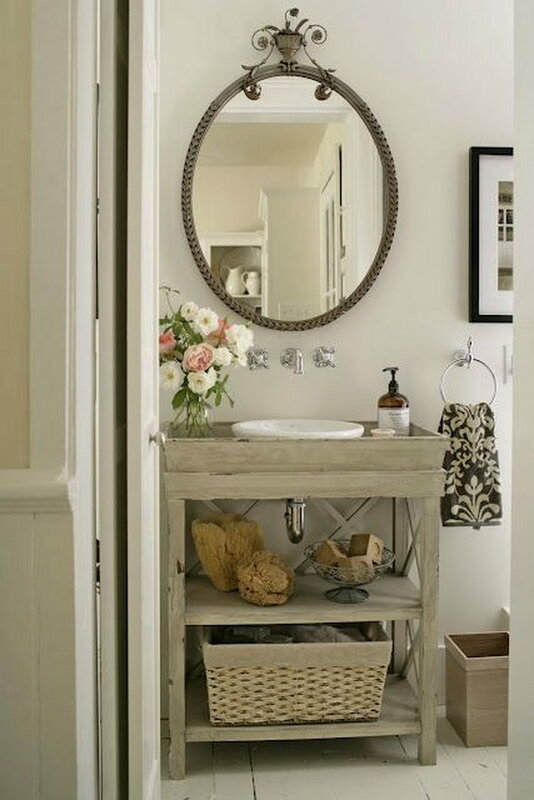 A framed mirror is a must-have in any shabby chic bathroom, but we’re not talking about a plain frame here – the frame needs to be metallic and ornate, and preferably a little distressed, to give it that centuries-old appearance. 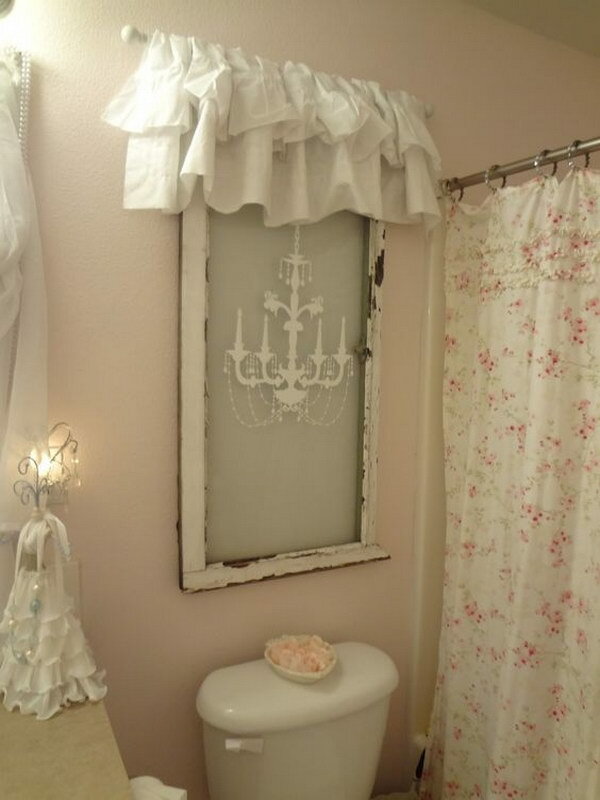 The same thing applies to lighting. 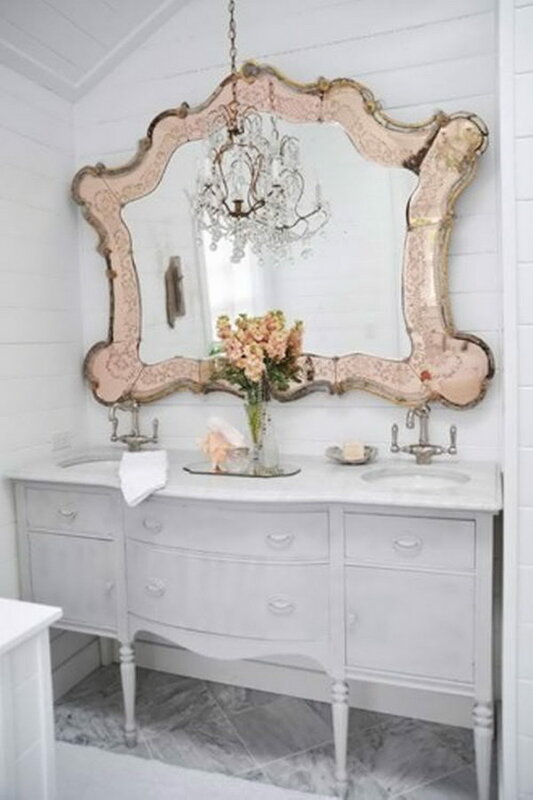 You need to forego any modern lighting in favor of ornate chandeliers, which will certainly go very well with your mirror and add to the rustic-vintage feel of the room. 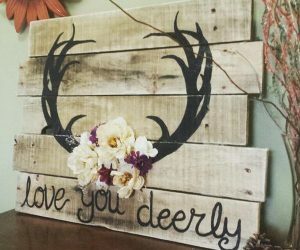 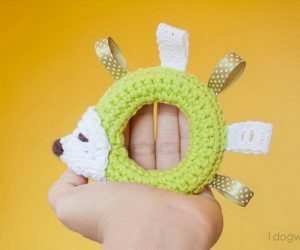 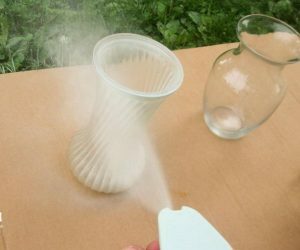 Get the tutorial via tableandhearth. 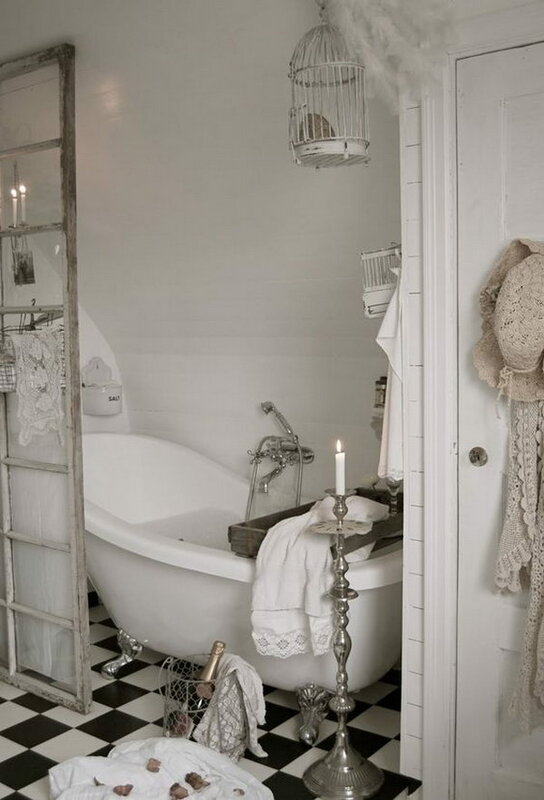 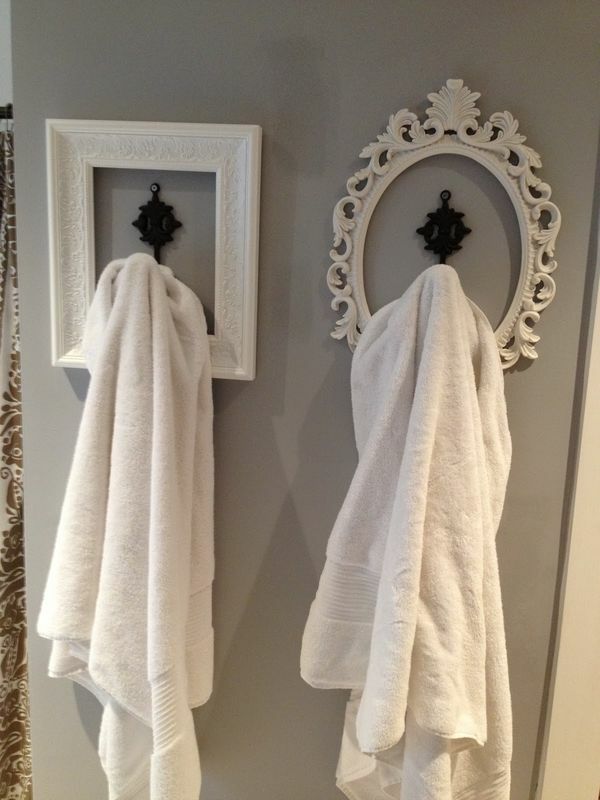 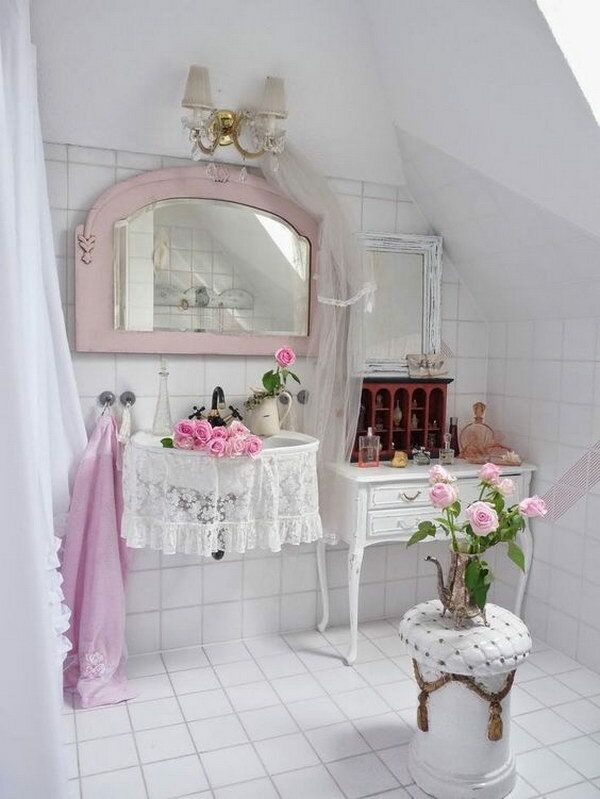 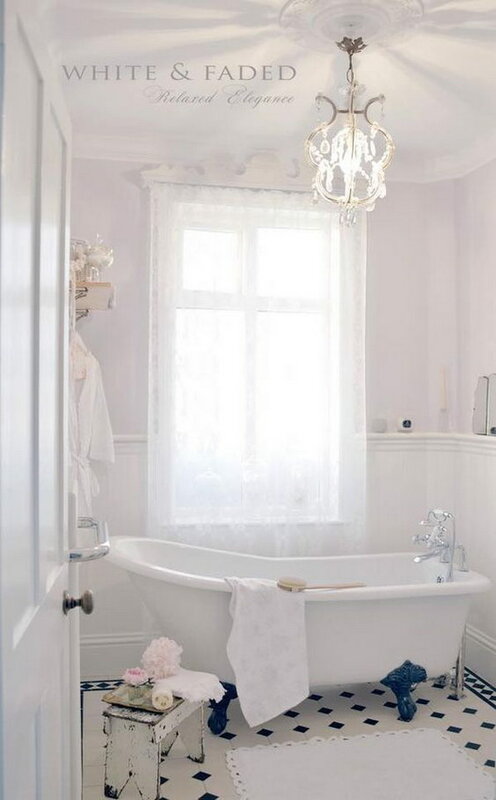 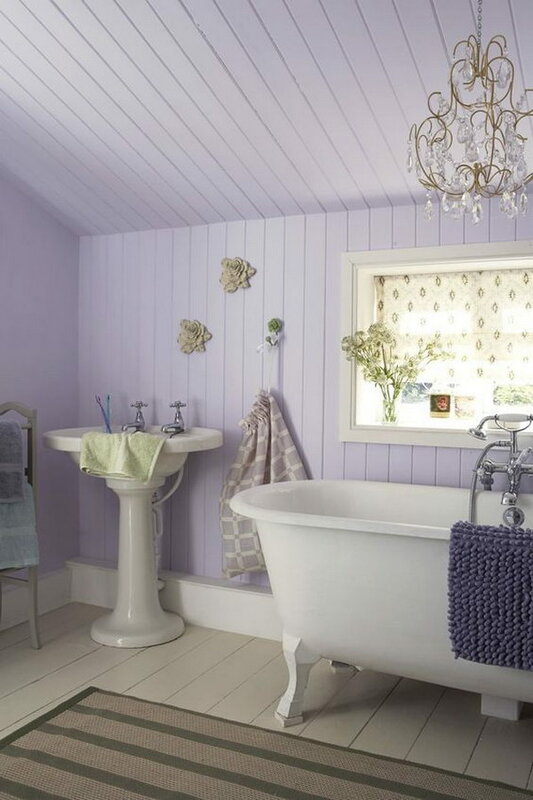 Other key features of a shabby chic bathroom will include having lace accents and a vintage bath, but those are things we will be discussing more in depth as we look at shabby chic bathroom ideas, so read on if you’re interested in learning more about this beautiful design trend.